A big, big thank you goes out to Young Sherlock Holmes author Andrew Lane, who really made my day by dropping by Dubray Books Galway location and patiently signing all his books. I'm a big fan of the Young Sherlock Holmes series and was thrilled a) to meet Andrew, b) talk all things Sherlock Holmes, Victorian England and writing a thrilling series and c) to find out the the sixth book in the series, Knife Edge, will be out in October.... and it's set in Galway!!!!! So, keep watching here for upcoming news. We may have something very special for all you Galway fans. As I said, the next in the series will be available in October. With summer holidays looming ever closer, it's the perfect time to catch up on your Young Sherlock reading. You don't want to be left short when the new one arrives. This series features Sherlock as a school boy and, not only are they great adventure/mysteries, but you get a good look at the events and circumstances that lead up to Sherlock being... well... Sherlock! The drama and characters are tangible and thoroughly in line with the original Conan-Doyle books. Even though they use a more contemporary language and writing style, you never lose the sense of time and place and people. If you haven't read them yet, I recommend you start now...today... you don't know what you're missing! "Calum Challenger is a boy with a mission: to track down supposedly mythological creatures and capture their DNA. But while Calum and his friends want to save these beings, an aggressive pharmaceutical company wants to wipe them out. In this fast-paced, high-tech story, Calum and a group of misfit mates – a computer hacker, a freerunner, an ex-marine and a girl with a very big chip on her shoulder – criss-cross the globe, desperately trying to stay one step ahead of their enemy." 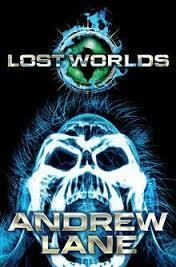 Thank you, Andrew... and we'll see you again soon, I'm sure. Hot off the heals of the fabulous CBI conference and the awards are coming up! Phew! There's hardly a moment to breathe! The announcement of the eight entry strong longlist for the Guardian Children's Fiction Prize came today, and it is amazing! War, dystopia, terminal illness, family crisis .... all and more figure prominently in a list that is not only packed with drama, but also with humour, humanity and delight. The writing in each book is strong and assured, and the stories are incredible. AND... if you are aged 17 or under, you can enter the Young Critics competition! Review one of the books on the 2013 longlist and you could be in for a chance to win them all! For details on this fantastic opportunity... and if you love books, why wouldn't you want this... just click on the website below for all the details! Herve Tullet is a GENIUS!!!!! Alex T Smith teaches us all how to draw Claude! 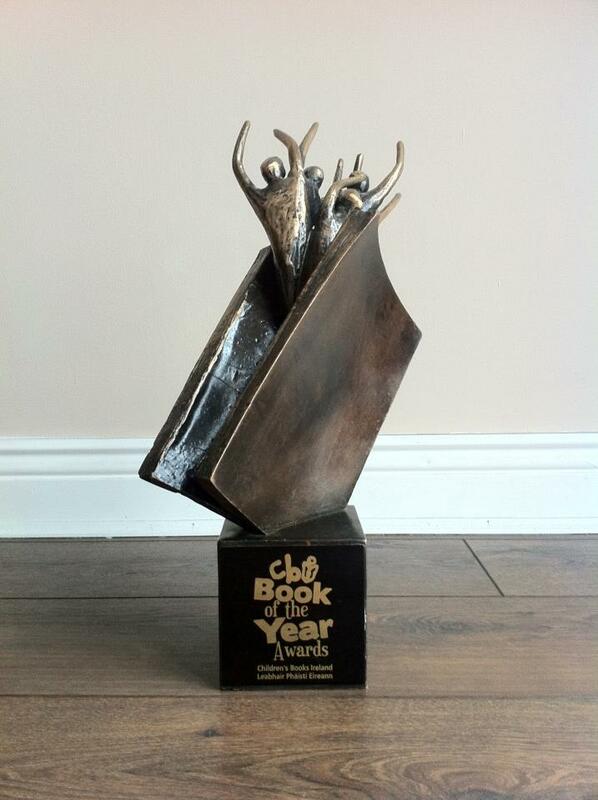 CBI Book of the Year Award Winners 2013! A huge congratulations to Sheena Wilkinson, whose brilliant book Grounded has won the 23rd CBI Book of the Year Award! 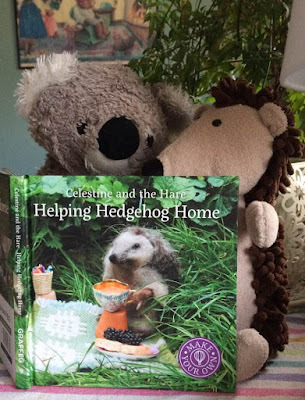 AND, not only has Sheena taken the overall book of the year award, but she is the second ever author to win this along with the Children's Choice Award. " 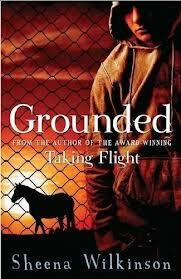 Grounded is the sequel to Taking Flight, which on both the CBI Honour Award for fiction and the Children's Choice Award in 2011. The judges said that the books' "‘this powerful first person narrative is an unsentimental account of a teenager trying to cope with a series of unexpected responsibilities, and explores the effects of caring too much and of caring too little. The Eilís Dillon Award is awarded to a first time author or illustrator. The award in this category went to The Weight of Water by Sarah Crossan. Written in first-person narrative verse, this stunning coming-of-age novel deals with all the isolation, loneliness and confusion felt by many young immigrants and the strength and fortitude with which they face their circumstances. The Judges Special Award was won by Anna Heussaff for her Irish language children's novel Hóng. The Honour Award for Illustration went to none other than Oliver Jeffers for the wonderful, thought-provoking and entertaining picture book, This Moose Belongs To Me. The Judges Honour Award for Fiction went to Dark Warning; a haunting, moving novel set in late 18th century Dublin by Marie-Louise Fitzpatrick. 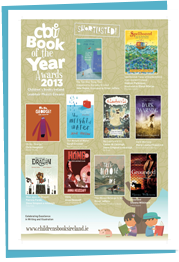 We are all anxiously awaiting word.... who will win the CBI Book of the Year Awards 2013. Fortunately, we don't have much longer.... the announcement of the most prestigious book awards for excellence in children's literature will be announced tomorrow! THE TERRIBLE THING THAT HAPPENED TO BARNABY BROCKET by John Boyne and Oliver Jeffers (illus). SPELLBOUND: TALES OF ENCHANTMENT FROM ANCIENT IRELAND by Siobhán Parkinson and Olwyn Whelan (illus). These wonderful books are competing for The Book of the Year Award, The Eilís Dillon Award for a first time author or illustrator, Honour Awards for Fiction and Illustration as well as a Judge’s Special Award. And let's not forget my favourite... the Children's Choice Award; an innovative award is chosen by ten junior juries, specially selected throughout Ireland. 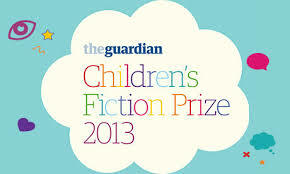 All have been reading, debating and considering each book on the shortlist for selection of this award. Personally, I will be on pins and needles until I hear! The very best of luck to all! As I had posted a couple of days ago, a big and hearty congratulations to my dear friend Paula Leyden upon the book birthday of her new The Sleeping Baobab Tree. There was a wonderful launch party (which I missed due to being hard at work in the Galway branch of Dubray Books) held at Stonehouse Books in Kilkenny. Now THAT'S how to have a launch party. (Sorry... I'm always excited about cake... especially when they look like this... gorgeous and totally fitting the occasion.) I hope no one minds my pinching the cake photo (from Paula's own website: http://thebutterflyheart.net/2013/05/06/the-sleeping-baobab-launched/) and just to keep everything clear; the cake was made by the obviously amazing Nicky Read of Nicky's Cakes (http://nickyscakes.wordpress.com/ ) Hopefully, that squares everything. On to other matters about The Sleeping Baobab Tree... you'll find my review up on the Irish Books, Authors and Publishers page; and, of course I'll let you know as soon as it appears elsewhere. Congratulations, Paula! You've done it again! Happy Book Birthday to 2 Great Books! I just wanted to wish a very, very Happy Book Birthday to two wonderful new books and a hearty congratulations to their authors! First of all, Happy Book Birthday to Wendy Quill is a Crocodile's Bottom; written by Wendy Meddour (A Hen in the Wardrobe... now nominated for the Branford Boase Award 2013, and The Black Cat Detectives) with illustrations by Mina May, Wendy's 12 year-old daughter who proves herself to be just as professional and talented as the grown-ups! I should also mention that Wendy Quill is a Crocodile's Bottom has been selected by Dubray Books for their Children's Book of the Month for May! 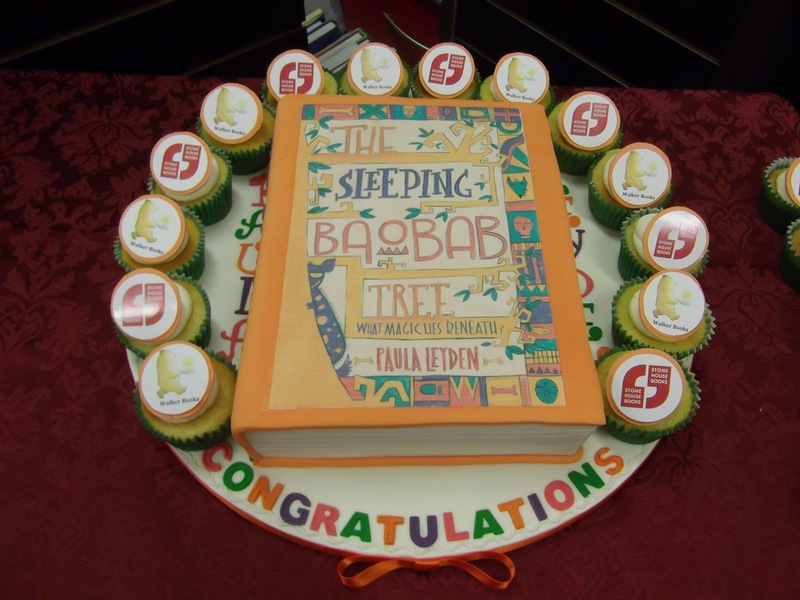 And for a big Happy Book Birthday number two, one of my other very favourite authors, Paula Leyden has released her new book, The Sleeping Baobab Tree, today. In this book, we return to Zambia and meet up again with twins Bul-Boo and Madillo and next-door neighbor Fred as they travel to Ng'ombe Ilede - the place of death. Filled with mystery, magic and heart, this is a truly outstanding children's novel. (More on this coming soon!) Paula is also the author of the wonderful, The Butterfly Heart, winner of the Eilsh Dillon Award 2012. Welcome May! For the first time in a very long time, it almost felt like summer in Galway... absolutely beautiful, sun shining and warm! So many thoughts were turning to outside activities; gardening, cycling or just lying around soaking up the sun. (Well, in fairness, it's so seldom bright, sunny and warm....) And me.... well, my thoughts were turning towards.... books. I had a sudden childhood memory come back to me that I'd like to share that says something about me, children's books and being a children's bookseller... and the affect putting the right book at the right time into the hands of the right child can have throughout their life. I think so, anyway. It was the first of May. I was just a small child; I think about 4 or 5 years old and had gone shopping with my mother. We were in 'People's Drug Store, which had a wonderful 2 aisle treasure trove for children.... cheap plastic toys, jars of 'bubbles' in various collurs and sizes, packets of balloons (which I always hated for some strange reason) and a flat shelf filled with Little Golden Books. My eyes and hands gravitated towards one particular book that I had never seen before; I Am A Bunny by a Olé Rissom; illustrated by a rather new artist called Richard Scarry. I just had to have that book, and I was very lucky, because neither of my parents ever said no to books. To this day, I still remember the story.... "I am a bunny. My name is Nicholas. I live in a hollow tree....'; and all I can say is something in there had a profound, yet subtle affect on me. It coloured my world view forever..... something about the smallness of Nicholas, his life through the seasons, noticing the details of the natural world and the simplicity of text... say who you are and be that. This is what I think books do for children. It's not so much about learning to read and progressing in your literacy. 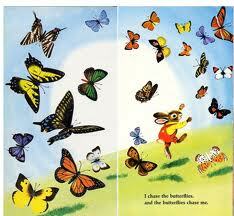 That is almost secondary to the impact that even the simplest picturebook will have on a child. Because of the effect, because of the love of the book, because of the joy or the fascination of the book, the child learns to read; learns to be literate in a natural, unhurried and relaxed way. Nothing is forced.... and for the rest of their lives, these memories come back and foster something tangible. Even when you're old! What was your first book memory? I hope it's a wonderful one!